Il nostro servizio di navetta di andata e ritorno da Roma è il modo perfetto per visitare Pompei. Durante le 4 ore di escursione avrete modo di apprezzare le rovine di questa antica e leggendaria città. Meta tra le più visitate in Italia, con gli scavi e le rovine ottimamente conservati - Pompei è al tempo stesso evocativa e affascinante. 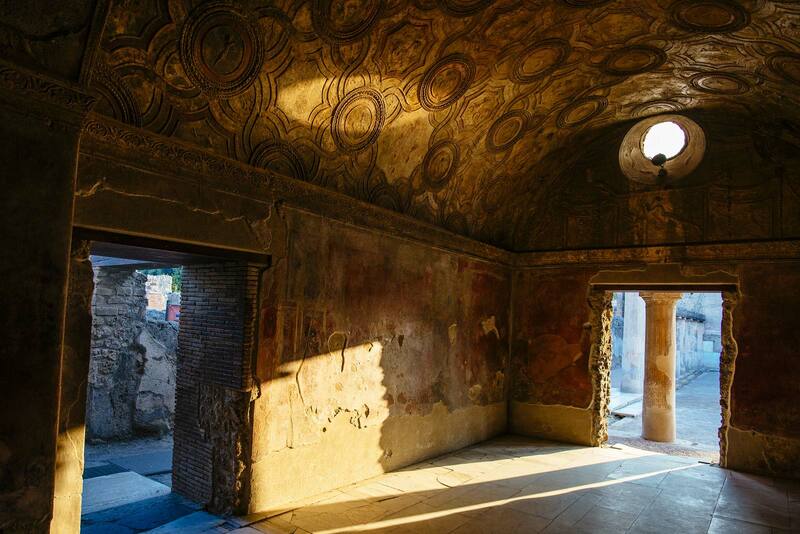 Durante la visita potrete esplorare questa città perduta passeggiando liberamente nel labirinto ancestrale di strade – oppure scegliere tra i nostri extra, di approfittare di uno dei nostri tour guidati a Pompei. Con questa gita ideale di un giorno da Roma, hai la libertà di apprezzare il tuo tour di Pompei senza doverti preoccupare del trasporto. Il nostro servizio di navetta di andata e ritorno da Roma a Pompei parte alle 7:30 e vi farà viaggiare comodamente su un autobus da 50 posti. 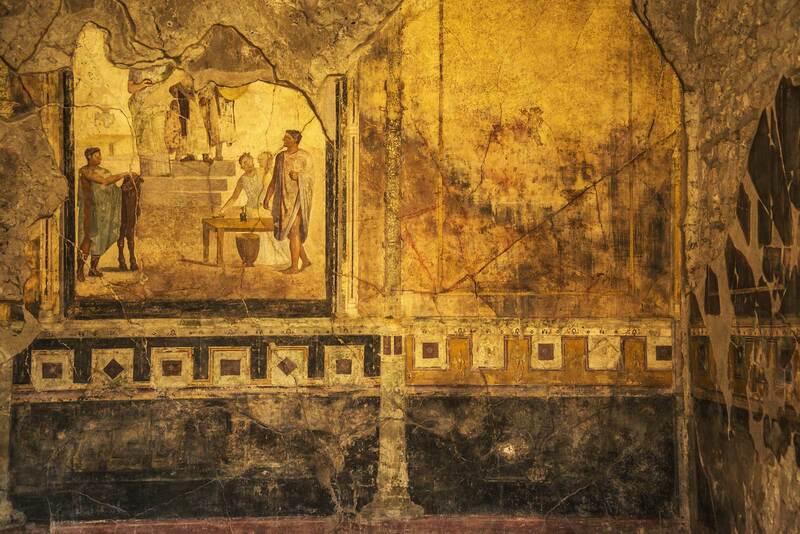 Dopo una breve sosta a metà strada, la visita di Pompei inizierà alle ore 11:00. Durante le 4 ore di escursione avrete modo di apprezzare le rovine di questa antica e leggendaria città. Meta tra le più visitate in Italia, con gli scavi e le rovine meglio conservati - Pompei è al tempo stesso evocativa e affascinante. 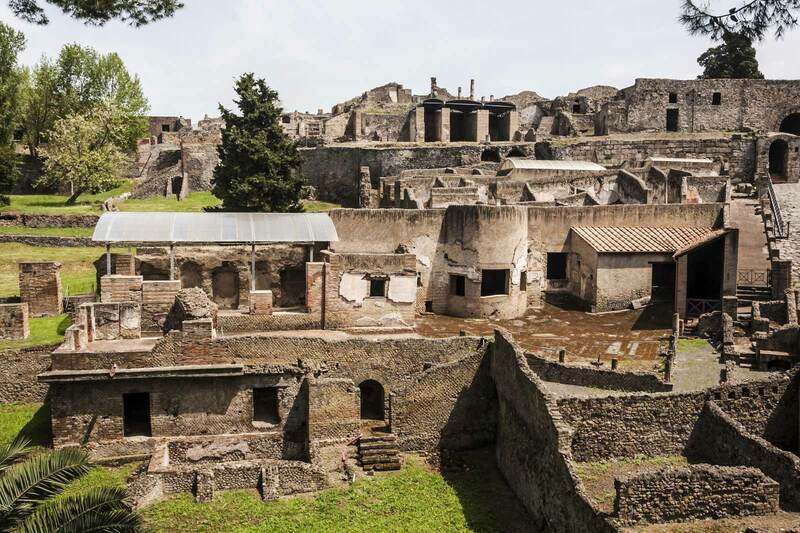 Durante la visita potrete esplorare questa città perduta in modo indipendente passeggiando nel labirinto ancestrale di strade – oppure scegliere tra i nostri extra, di approfittare di uno dei nostri tour guidati a Pompei. Questo extra include il biglietto d'ingresso, accesso prioritario salta la fila e una visita di 2 ore di Pompei. 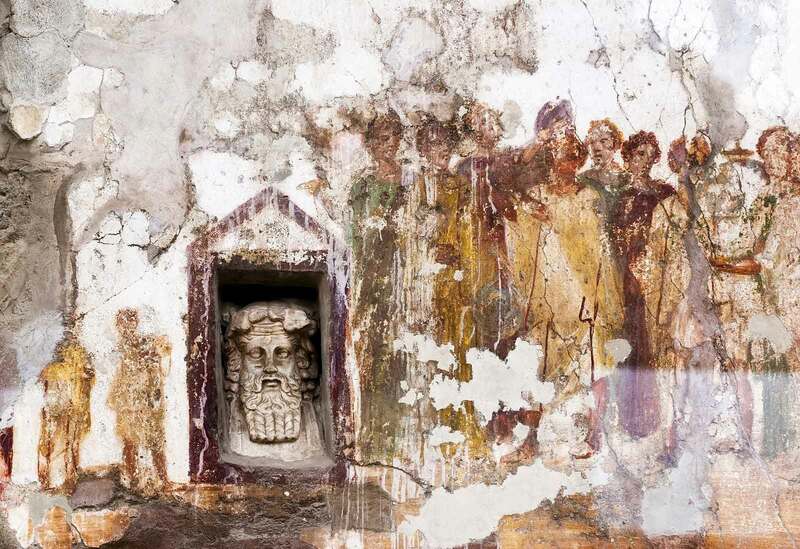 La nostra guida esperta condividerà la tragica storia della distruzione di Pompei, mentre attraversa le rovine con l'imponente Vesuvio sullo sfondo. Alle ore 15:30 ci incontreremo presso l'autobus pronti per fare ritorno a Roma. Durante il viaggio di ritorno, potrete riflettere sulla memorabile visita di Pompei - la città sepolta, congelata nel tempo. La partenza da Roma è prevista per le ore 7 dal civico 224 di via Cavour (fermata CAVOUR Metro linea B). Un membro del personale di Enjoy Rome vi accoglierà insieme ad un confortevole bus da 50 posti. Si richiede cortesemente di presentarsi 25 minuti prima dell’inizio del tour per effettuare il check-in con un membro del nostro staff. Il tour ha la durata di 12 ore, consigliamo quindi di indossare scarpe comode! Se lei o un membro del suo gruppo hanno problemi motori (stampelle, sedia a rotelle ecc…) vi preghiamo di contattarci in anticipo. Il percorso di questo tour non è consente l’accesso con sedia a rotelle. Sono disponibili tour privati, su richiesta, per venire incontro ad esigenze particolari. 18.08.18 Unici italiani presenti,prenotato da Milano mesi fa.Esperienza bellissima a Pompei, tour ben organizzato, guida (Elisa) gentilissima, disponibilissima e preparata, autista gentile e calmo ha reso il viaggio un dolce riposo.Due soste ristoratrici a/r, massima puntualitá. Consigliatissimo. 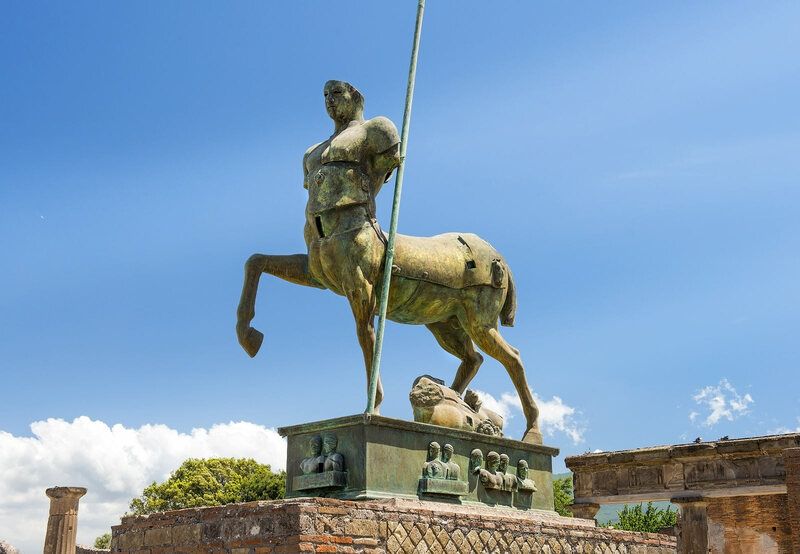 I booked the shuttle bus service from Rome to Pompeii online before my trip to Rome and it was very easy to do. We found the pick up point in Rome easily and it was all very well organised. The air conditionef bus run was smooth and we upgraded to a 2 hour guided tour easily. Our guide on the bus was excellent.She shared information about Rome , Naples and Pompei on route.The guided tour was super and very informative. The guide took into account the hot weather and found shade when possible and let us refill our water bottles. 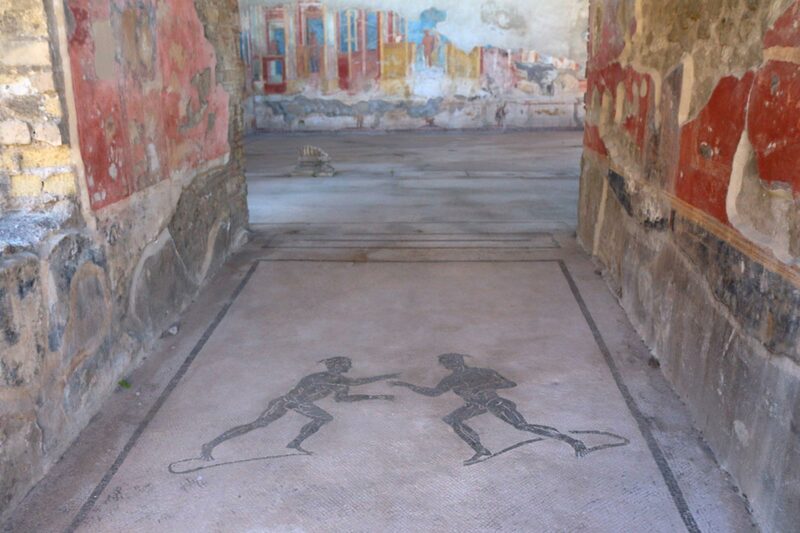 I was travelling with two teenagers and they were engaded by the stories of everday life in Pompeii. Times for the bus were accurate and the guide on the bus spent the journey back answering any questions about Pompeii or Rome as we still had a few days left in the Eternal City. A brilliant day out. I booked a day trip to Pompeii last Friday. I am on the tail end of a long trip and didn't want to leave Europe without seeing pompeii. I didn't want the hassle of taking connecting trains, i just wanted a bus to take me there in the morning and get me back to Rome at night. Most companies offer these trips but there are add ons like pizza is Naples, going up to mount Vesuvius, which i suppose are all well and good but was not what I wanted. For €80 i got a round bus trip, our on bus guide, Marissa was absolutely excellent, she gave us details of italian history as we were passing places so although the ride was long, i feel i got a lot out of it. I also upgraded to get a 2 hour guided tour at the ruins, and then 2 hours of my own time. It was excellent I'm really happy with it. Didn't have to lift a finger. I would definitely recommend this trip. A really excellent trip with an informative guide, which I can highly recommend to everyone who wishes to visit Pompeii from Rome. Very good value for money and it was also interesting to be given information as we passed sites of interest on our way. Myself and my boyfriend did this day trip in August 2016 and loved it. We upgraded to get the tour around Pompeii, which was fantastic. Absolutely terrific value for money. We would highly highly recommend Enjoy Rome Tours to everyone. We booked this tour and upgraded it with the English speaking tour guide and we were very pleased. We highly recommend it , the staff is very friendly and informative . We would definitely book this tour again. I've just done this trip with my grandson, the coach was large and comfortable, there were stops for coffee and toilet both ways the rep was lovely and very informative.all in all an easy, excellent value for money way to visit this site. Busturen til Pompejii var lang men dejligt med aircondition i bussen. Vi havde tid nok til at få et godt indblik i Pompejii, der var guide i bussen og man kunne ved bestilling af billet eller i bussen book billet til guide i Pompejii. Begge guider var søde og kom med mange interessante og brugbare informationer. For me and my girlfriend this tour was perfect. Just basically got us to Pompeii and then we could go off on our own. Some tours do include your lunch and other quirks but go for this one. Cost us under £100 to get to Pompeii and back to Rome, the train was nearly double. Patricia the assistant on the bus was great, very attentive and seemed genuinely interested in the type of day you'd had. 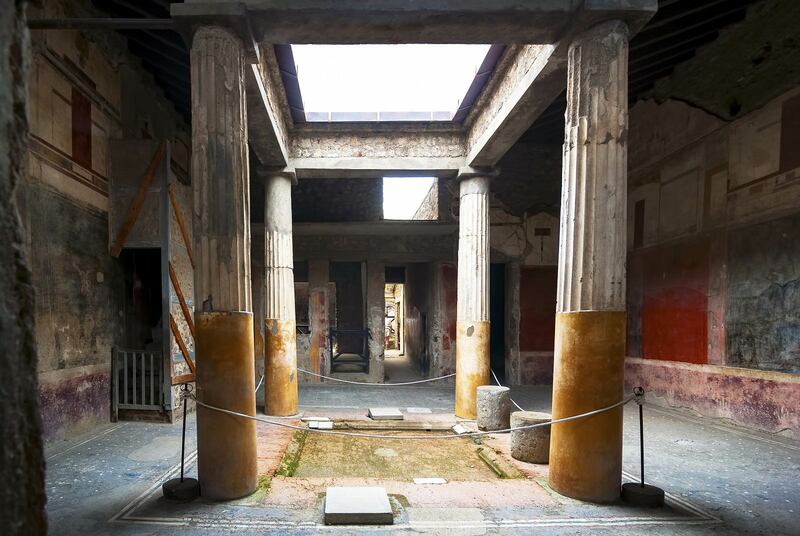 If you're looking for a relaxed trip to Pompeii with no pressure to take the tour then this is then this is what you need.